Our aim is to capture the essence of what is rare and beautiful by publishing only those works of art that are too, one of a kind, extraordinary, and strive to redefine fashion. We showcase images that portray all that is magical and spectacular, images that push the visual sense and transcend into the emotional realm. Images that speak through feeling. 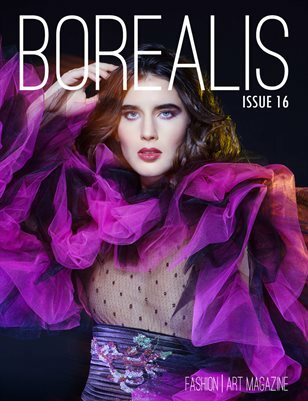 Our name “Borealis” - inspired by the natural occurring “Northern Lights” phenomenon known as the “Aurora Borealis” exclusive to the most northern and southern magnetic poles of the earth - embodies the spirit of these magnificent displays of dancing color and light to evoke creativity, imagination, and captivating work that can be seen throughout the pages of our magazine. 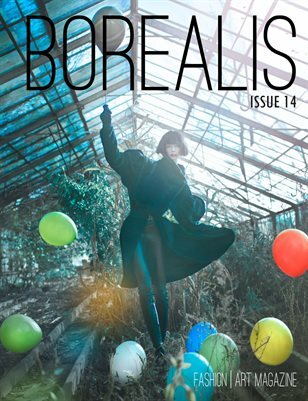 Borealis Mag aspires to push the limits of published works to provide opportunities to emerging and established artists to showcase their unique perspectives of fashion and art to the world.